Increases seen in 18 of 24 categories, with Product entries nearly doubling. More than 43,000 award submissions have been submitted for this year's Cannes Lions festival — a record number and 7% increase. Out of 24 Lions categories, 18 have seen a growth in submissions, with the largest increase in Product Design, which nearly doubled (up 92%). 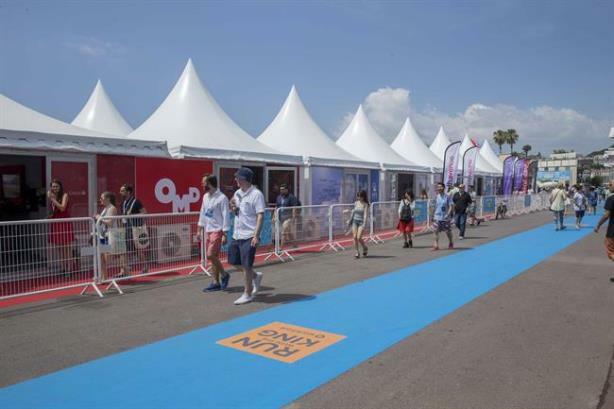 There were also increases in the number of submissions for Cannes Lions’ specialist streams, Lions Entertainment, Lions Innovations and Lions Health. Entertainment Lions (formerly Branded Content and Entertainment) grew by 32% to 1,843, while the new Entertainment Lions for Music attracted 637 entries in the category’s debut year. Entries into the Creative Data Lions have grown by 16% to 715, while submissions for Innovations Lions grew 69% to 381. However, Cyber Lions submissions fell 23% to 2,886, with other notable falls for Radio Lions (down 18% to 1,410) and Print and Publishing Lions (down 16% to 4,470). The Entertainment Lions (formerly Branded Content & Entertainment) grew by 32% to 1,843, while the new Entertainment Lions for Music attracted 637 entries in their debut year. Yesterday, 387 judges across the awards juries began assessing the work submitted and the first results will be revealed on the first day of the festival on Saturday 18 June. Philip Thomas, the chief executive of Lions Festivals, said: "We are constantly evaluating every Lion, consulting with the industry to form a view on how they should be structured to reflect the creative landscape and remain relevant. It’s important that the Lions remain a barometer for the industry, as well as an enduring creative benchmark. "These numbers are also a reminder that there are ebbs and flows, and that it’s always best to take a long-term view. The Outdoor Lions are just one example of that — a drop last year of 11% prompted commentary about a decline in the sector, but this year we’ve seen a determined bounce-back, with entries rising by 7%."